sportsmatrix » One year on – what differences can we see in ‘the new Manchester United’? ‘What a difference a year makes’, as the old saying goes, but for Manchester United, does this ring true? 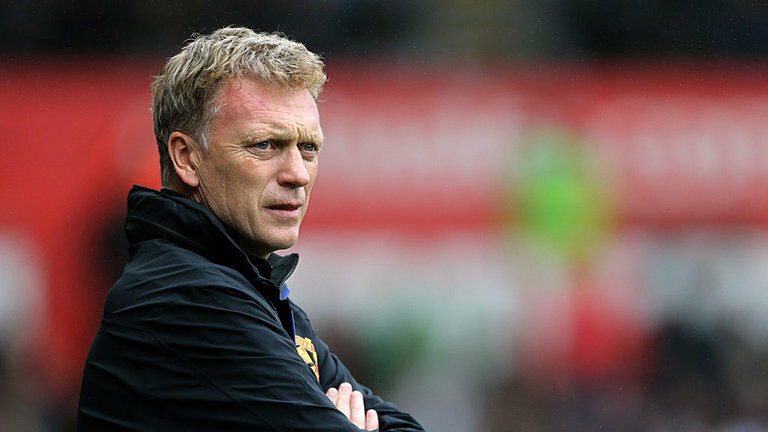 New United manager Louis Van Gaal and his recent predecessor, David Moyes, both faced Swansea City in their opening Premier League fixture, a year and one day apart. Looking at the data, are there any obvious stylistic and tactical differences between the 2012-13 champions and this United side, who are hoping to rebound from a chastening 7th-place finish last season? Tactically, Van Gaal’s team began Saturday’s 2-1 defeat at Old Trafford with a strikingly different set-up than the 11 men who lined up to face The Swans in a 4-1 away win the previous season. Only two players remained from the corresponding fixture a season ago – David De Gea and Phil Jones – and a new 3-4-1-2 formation that blossomed in a successful pre-season tour was employed. Van Gaal moulded the formation around his best XI, rather than shoehorn the players he inherited into a rigid 4-4-2. The 3-4-1-2 allowed playmaker Juan Mata to play his favoured central position, in front of highly-rated midfield singing Ander Herrera, and behind new club captain Wayne Rooney. But did it work? If a criticism of the Moyes era was his team’s lack of composure on the ball, the data suggests Van Gaal’s side are more adept at ball retention. United under the Dutchman enjoyed 55% live ball possession compared to 45% in Moyes’ first match. The new United also executed 53 ‘passing-style’ build-up moves compared to 37 under Moyes. Their ‘build-up index’, calculated from a qualitative analysis of every build-up move in the match, was rated at 8.64 – significantly better than the 6.28 under Moyes and last year’s overall Premier League average of 6.17. However, despite a wealth of creative talent accommodated by the new formation, it seems that creating chances was the big problem for Van Gaal’s United. Playing in front of their home fans, they managed to create just 10 medium-to-high scoring chances, 7 less than at the Liberty Stadium in the Moyes era. As a result, despite controlling the ball better under Van Gaal, the new United only had 11 shots on goal, with 5 considered dangerous attempts, 1 of them being Rooney’s goal. Away from home under Moyes they had 14 efforts, 8 of them dangerous, with 4 being converted into goals. 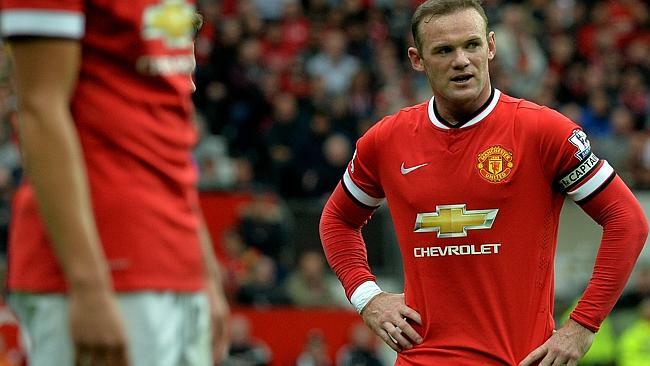 United’s failure to create clear cut openings on Saturday was not down to lack of trying. With 2 wing-backs providing width to the new formation, they swung in a notably higher number of crosses than the Moyes team, particularly when substitute Marouane Fellaini was introduced as a target man. Of the 33 pumped in by United, only 3 resulted in efforts on goal. “You don’t put that many crosses into a game without thinking to yourself, is there anything else?” implored former Assistant Manager Mike Phelan last season after United’s 2-2 draw with Fulham – it appears Van Gaal’s team might still have some Moyes problems. 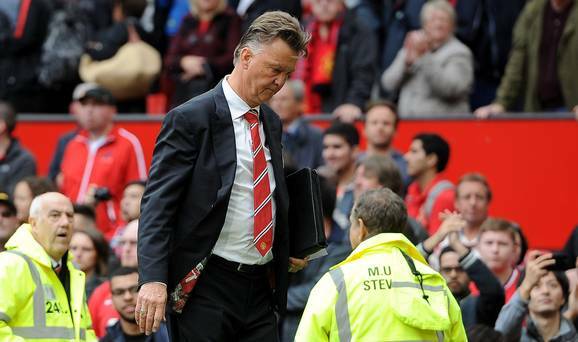 A gloomy start to the Van Gaal era then, but there are some positives to build on. If United can add effective creativity and clinical finishing to an improved passing game, they might just be able to prove some of the doubters wrong. « Premier League race – will last season’s Fab Four split up?